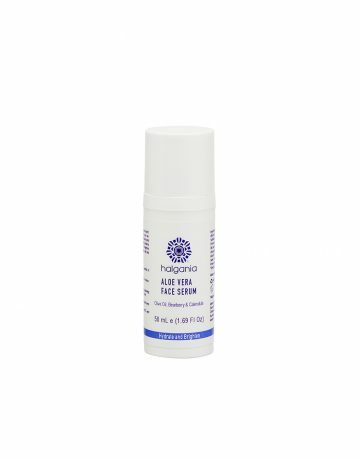 This Aloe Vera Face cream is formulated with organic herbal extracts and nourishing natural oils to provide long lasting moisture and protection to your face against the environment. It is soothing and hydrating with Aloe Vera, Calendula extract and natural anti-ageing ingredients. All natural, no artificial fragrance or colour. Paraben and petrochemical free. Unscented, suitable for sensitive skin. Made with 88% organic ingredients. Product ID: 2303 Category: Face Care. Apply to face after cleansing and before Aloe Vera Face serum or treatment oil. Avoid applying around eye area. 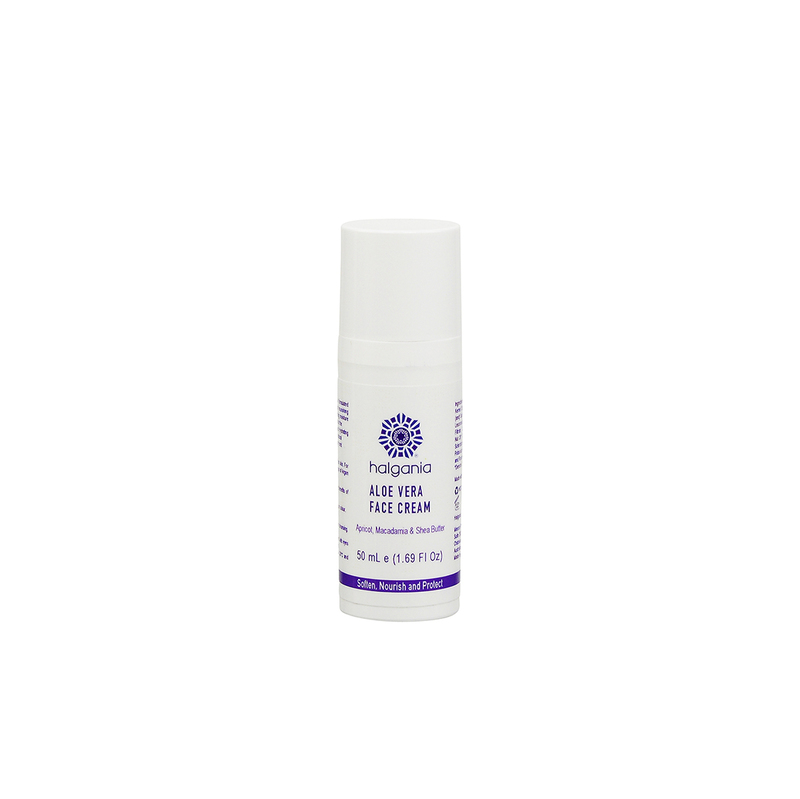 For mature or dry skin, use 3-4 drops of Argan Treatment oil before face cream. Aloe Vera – It has healing, soothing and moisturising properties. Rich in vitamins, minerals, proteins and enzymes. Assist to promote cellular growth and healthy complexion. Apricot Kennel Oil – It is an excellent oil to soften and moisturise your skin. High in essential fatty acids and can reduce roughness and irritation of your skin. Shea Butter – Native to Africa and had been used as skin and hair moisturiser for thousands of years . The history of Shea Butter use can be traced back to Ancient Egypt which it was used to protect and moisturise the skin and hair against the dry hot wind and weather in the deserts. Macademia Nut Oil – Native to Australia and it is a highly nourishing oil recommended for dry and mature skin. It is high in palmitoleic acid which is found in sebum thus it is often used for mature skin which starts to dry as the sebum production depletes as we age. It is a light and moisturising oil which can soften and hydrate your skin. Babassu Oil – Wild and fast growing palm tree in Brazil. It is soothing to the skin and helps to reduce the appearance of stretch marks. Calendula Extract – It is healing, good for chapped and irritated skin especially dry skin. Commonly used ingredient for eczema and diaper cream. Elderberry Extract – Natural anti oxidant with Soothing, moisturising and calming properties. The payment transaction on your credit card statement will state "Mexron Pty Ltd" for the purchases made online on this website.